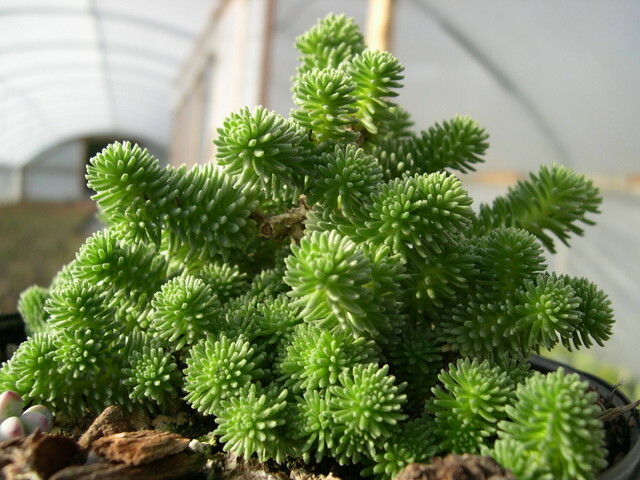 This species comes from Algeria and it is usually used as a houseplant. Looks like a miniature tree with sturdy branches. It often has shaggy dead growth clinging on to the older parts of the stems and tufts of foliage at the tips of the branches. This is a shy bloomer with pale yellow flowers during early summer.